If I’ve gotten to know one thing about attending the magnitude of shows and conferences that our industry participates in — besides the inevitable need for a foot rub — it’s that without fail, I’ll always leave feeling abuzz about something: a cool story idea; renewed passion and inspiration; a new connection; even a delicious place to dine I haven’t yet been. At press time, I had just returned from the Total Home & Gift Market and Lightovation at the Dallas Market Center, and that trip was no exception. On the lighting side of things, a lively, packed-to-the-brim crowd attended the first in-person Lighting Showroom Coalition meeting at the new SMART Center. This group has its origins on Facebook, started by Pace Lighting owner Lisa Dixon (who, by the way, won this year’s Showroom of the Year $5 Million and Under Award — check out the showroom’s profile on page 37) as a private group where lighting industry professionals could have conversations between markets about concerns of all kinds related to business. The group had 780 members at press time, a testament to the void an outlet like this fills in the lighting showroom channel. Several hot button topics were debated during the meeting, including the challenges with designer pricing, the need for drop ship programs for retailers and the question of manufacturers instituting a UMRP — unilateral minimum retail price — for all retailers, brick-and-mortar and online. In the eyes of brick-and-mortar retailers, a UMRP would level the playing field and allow all retailers who sell a product to sell on expertise and customer experience alone, not sales tax breaks or IMAP loopholes. From what was reported at the meeting, manufacturers are open to the idea, but it’s going to take a good amount of lobbying on the retail side to make this a reality. Some retailers present weren’t sold on the concept as a way to compete with e-commerce, but those that were really were, and they seemed prepared to fight the fight. Either way, the dialogue is open, and that’s the first step. What this part of the discussion reinforced was that a collective voice is needed to initiate any of the changes that were put on the table, and manufacturers on the whole really do want to see brick-and-mortars succeed. Retailers, whether lighting or furniture or decor, need to be proactive — with their manufacturer partners, their reps and other showrooms — to ensure, as was stated during the discussion, that these businesses are around for next generations to operate. The lighting industry is known for being outspoken, but watching this Facebook group blossom and the in-person meetup be such a huge success, I was taken not only with the participation, but also with the willingness to share and offer solutions. The conversation was not all butterflies and rainbows — there are some harsh realities to face — but the attitude of ‘we can make this happen’ was present, which was refreshing to witness. Follow-through will be key for the next stages of this evolution, though, and I hope to continue to report on all of the headway brick-and-mortars are making in the coming months and years. P.S. : You may notice our new name — Furniture, Lighting & Decor, starting to appear in your email boxes and online. 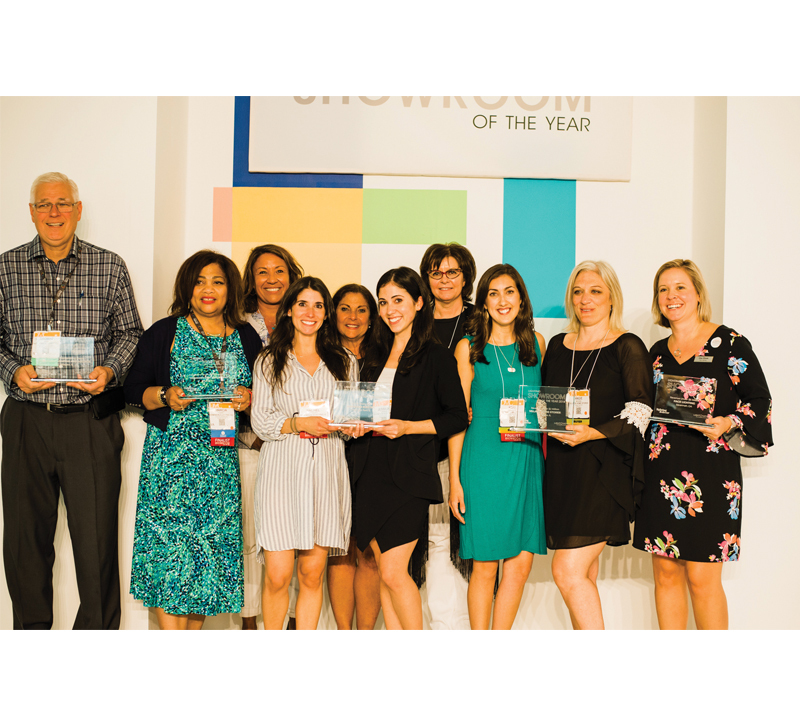 Our award-winning whole-room coverage of products and trends for retailers and designers continues to be our focus, but now you’ll see expanded coverage of the furniture business as well. Look for this, and the new name, in next month’s issue.